Howard Stern's contract with SiriusXM is coming due at the end of the year -- which means he and Sirius are once again negotiating in public view. It's a "dance we're in," Sirius CEO Jim Meyer told investors at a Deutsche Bank conference on Tuesday, "and we'll keep working at it." Does Stern want to sign up for a second decade on satellite radio? Or will the famously controversial talk show host decide to do something else, somewhere else? In a Bloomberg Businessweek profile published on Wednesday, Meyer said he is eager to renew Stern's contract, but acknowledges the unknowns. "If you listen to [Stern's] show, he always talks about how happy he is," Meyer told reporter Felix Gillette. But "just like your 12-year-old, he's always happy until something else comes along." The Internet gives Stern more options than ever. Then again, no outlet may pay as handsomely as Sirius, which lured Stern away from traditional radio and onto satellite radio back in 2006. It came at an extraordinary cost: about $100 million a year in cash and stock for Stern. It was an extraordinary coup for Sirius at the time because Stern's fans flocked to satellite radio and helped popularize it as an alternative to AM/FM listening. After five years and $500 million, Stern renewed his contract at the end of 2010. Neither side divulged the value of the new deal, but analysts estimated that Stern would make roughly $80 million a year. Would he make more or less with a new contract? Meyer won't say. "I want Howard Stern for as long as Howard Stern wants to work," he told Businessweek. "I'm only willing to pay so much. I know what that number is. But even if I was in an al-Qaeda death camp, no one is going to know what that number is but me." Meyer also commented that he's hoping the "roar of the crowd" convinces Stern to keep going, putting it this way: "Why is Peyton Manning maybe going to play another year? It's not the money." 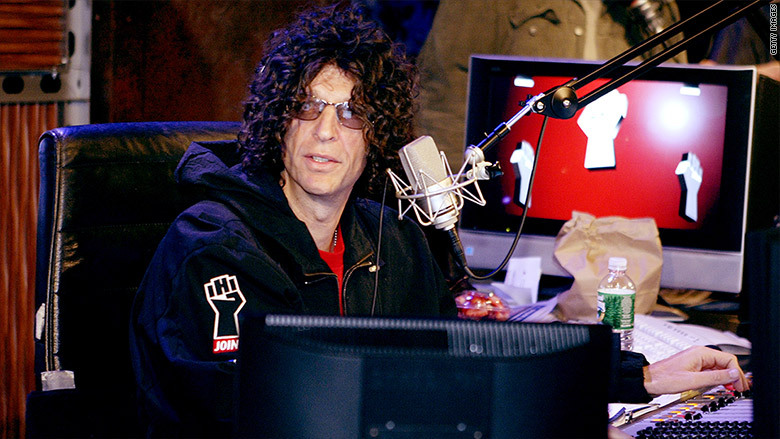 Stern has a reputation for fighting publicly with Sirius and talking openly on the radio about his business dealings. Already this year, he has mused about leaving radio and retiring. But that could be seen as predictable posturing ahead of official negotiations. At the Deutsche Bank conference on Tuesday, Meyer told investors, "You should assume we're working hard on trying to get Howard to renew." Meyer quipped that since Stern has a home a few miles away from the site of the conference in Florida, he had emailed Stern and offered to "trim the hedges or anything while I was down here." "I don't know what Howard may or may not choose to do," Meyer added. "You know, on his radio show, about two months ago, he did say, 'If I'm going to stay on radio, I would prefer to stay at Sirius.' We're going to work really hard on keeping him. And we'll see." As the Sirius chief financial officer David Frear said at another investor conference a couple of months ago -- "The best way to know what's going on ... is by listening to the show."